"This book is creative rocket fuel. Adam is a master maker, and this might be his greatest creation yet - a funny, vulnerable and soulful dive into the beautiful mind of passionate artist. It's about making stuff, but there is also philosophy, insight, and, most of all, inspiration. This book is so cool!" 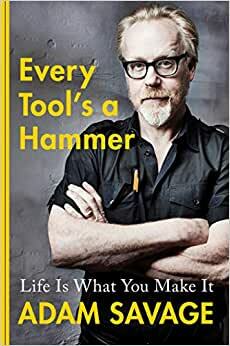 "Adam has drawn for us an imperative how-to for creativity that goes well beyond scissors, saws, and glue, to include vulnerability, self-confidence, and self-deprecating humor. I am aware of no human outside of fiction more qualified to pen this rousing paean to making. I adore this book." "Adam has stocked up a lot of deep thought and deeper wisdom: about how to make things large and small, how to make decisions large and small, and how to make sure you're making the things that matter. Consider this book as a 3-D print out of Adam's brain, and be glad you have it." Adam Savage is a maker, designer, television host, producer, husband, and father. He was the cohost of all 278 hours of MythBusters on the Discovery Channel for fourteen years and host of its 2019 spinoff MythBusters, Jr., as well as several other TV shows. He also makes stuff and tells his sto-ries on his website Tested.com. He lives in San Francisco with his wife, twin boys, and two amazing dogs. 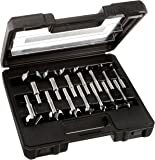 Every Tool's a Hammer is his first book.